An inflatable light, heart-shaped tea glasses, and a sushi bazooka: how far can *you* get without buying something? ALSO IT'S LABOR DAY WEEKEND, SO ENJOY IT! 1. This sushi bazooka that makes rolling sushi ultra easy. So you can scale up your sushi production. 2. This laundry folder that makes putting away clothing simple. 3. 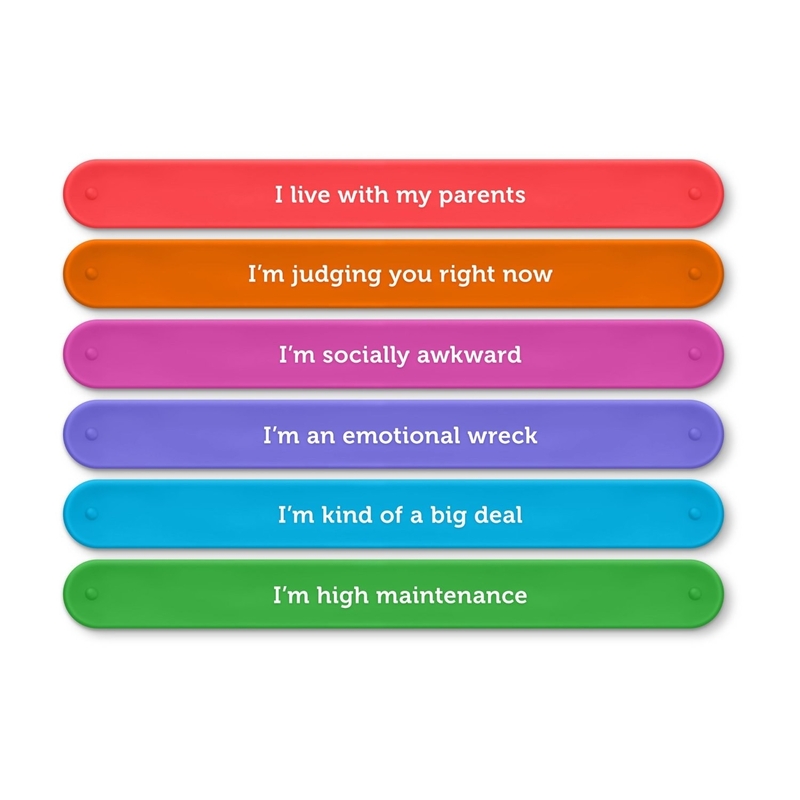 These snap bracelet drink markers that reveal your inner struggles. Just don't make snap judgement. 4. This bookend that is truly the end. 5. These double-walled glass tea cups that are heart shaped. 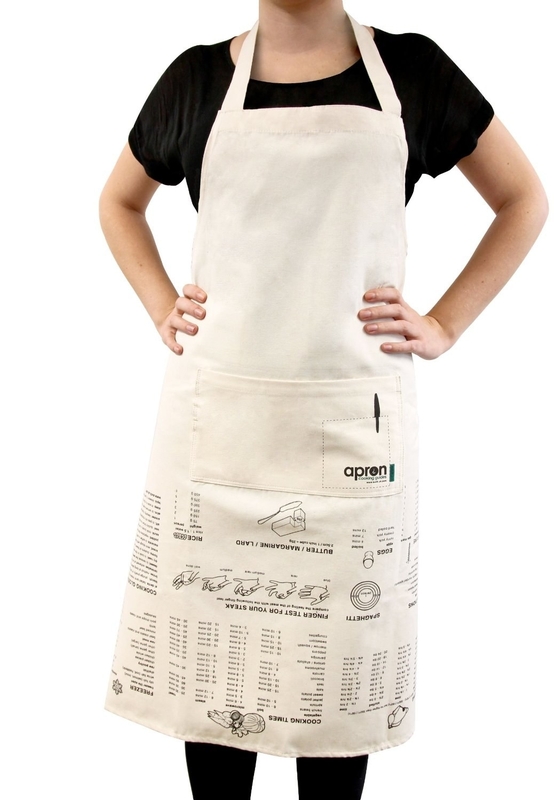 Makes your tea quite hearty. 6. 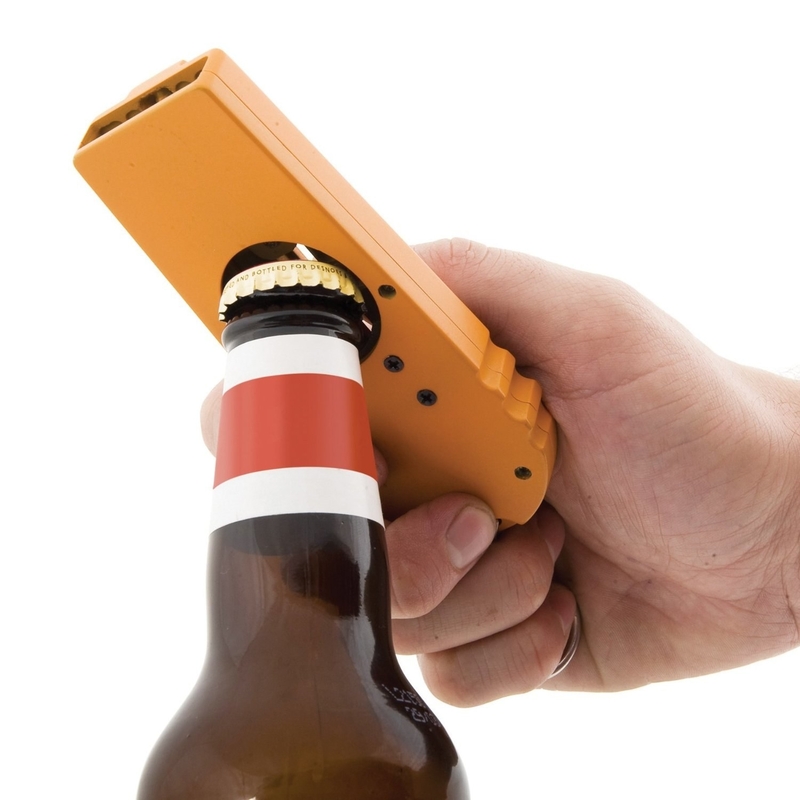 This bottle opener that also lets you shoot the cap off. Caps off to the inventor. 7. This spaghetti fork that twists easily by just pushing down. 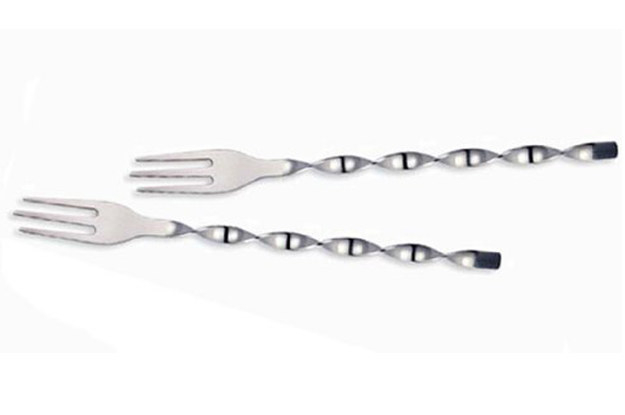 It's just a regular fork... with a twist! 8. These solar powered, water-proof fairy lights to spruce up your home. I'm fairy certain that these will look phenomenal. 9. This roe sushi pushpin holder that's just so damn cute. 10. This mini travel steam iron to rid yourself of wrinkles. 11. 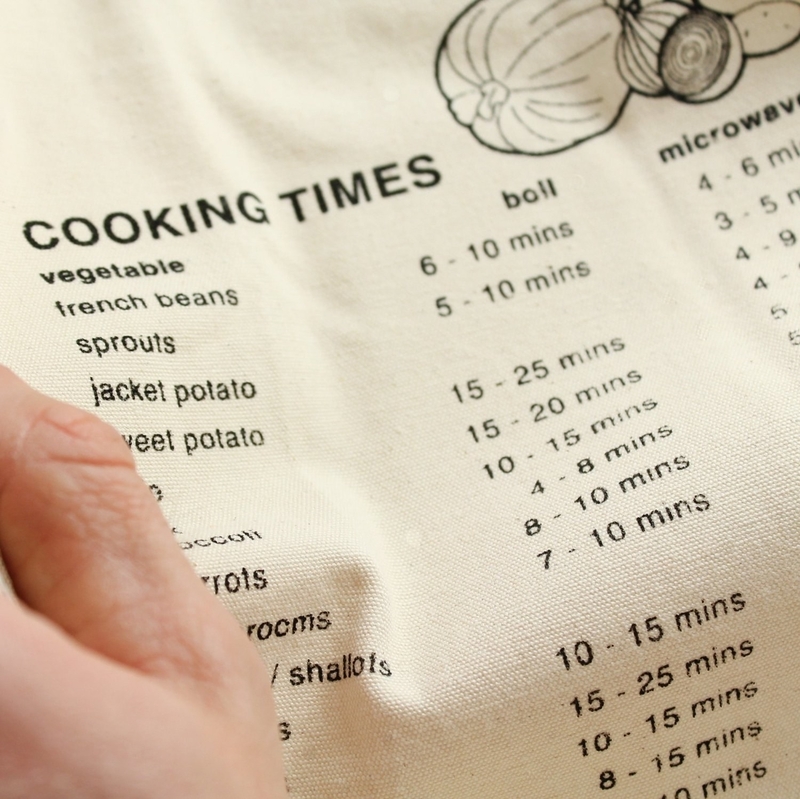 This cooking apron that has a cooking guide printed on it. In case someone grills you on the details. 12. This insulated bottle that will keep things cold or hot for hours and hours. Just don't keep your feelings in there. 13. This cube timer that lets you set the countdown by putting the number side up. So you can block out some time. 14. This umbrella that looks like a head of cabbage. Lettuce hope that it'll come in handy. 15. This electric kettle with variable temperatures. Don't kettle for a second-rate kettle. 16. These bird clips for your Instagram picture line. 17. This solar powered inflatable light that's also waterproof. Inflates your spirits and brightens up your night. You have reached the bottom, but not the end! You can find last week’s edition here. On your phone? Sign up for the newsletter here!